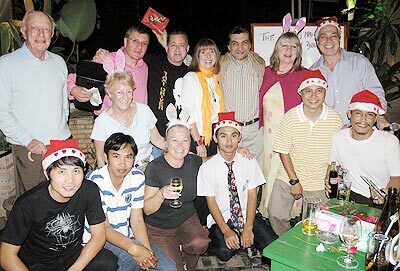 Mohamad (3rd right standing), the winner of December’s 100 club prize, is seen here with friends at Burd’s Bar. 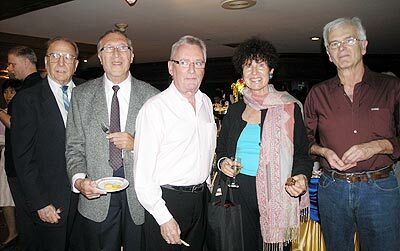 HSH Prince Bhisadej Rajani (centre) graced the ItalAsia wine tasting, sponsored by Rimping Supermarkets and held in the grounds of Le Coq D’or Restaurant. 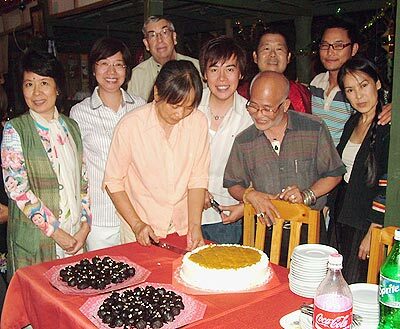 Annie, the owner and chief cook, cuts the celebratory cake with Dr. Lena, Tananan Willson, Jo-Jo and lots of friends, during the Mabuhay Filipino restaurant’s recent 24th anniversary dinner. 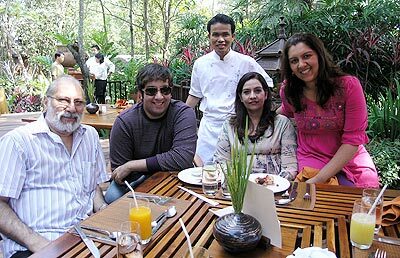 Bob, Rishi, Harmeet and Shareen (L-R), shown meeting the executive chef of the Four Seasons Resort during their recent Sunday Brunch. Film buffs gathered at Kad Suan Kaew for the annual and much appreciated European Film Festival. 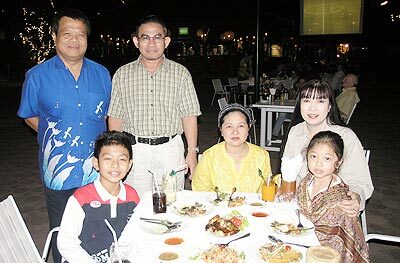 Imperial Mae Ping’s GM, Praphan Kodpet, (standing left), is shown here with his family enjoying the buffet and live music in the hotel’s Beer Garden. 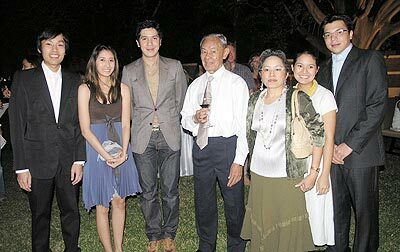 Sunantha, otherwise known as ‘Apple’ (seated centre), enjoys her birthday party with friends at the dusitD2 Hotel’s Beer Garden. 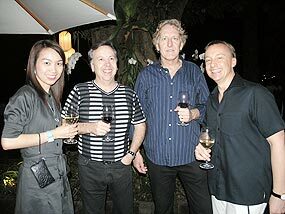 Sakulluck Autama, (Ink), Peter Taylor, Vic Perkin and Michael Gaehler, seen enjoying music, wine and tapas at the Chedi’s monthly DJ night. 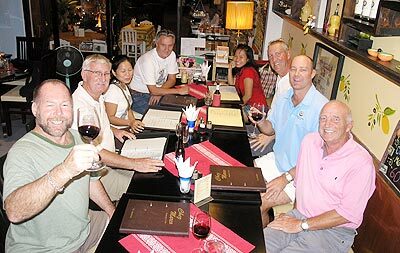 The ‘jetset crowd’ chose to dine at Chez Marco Restaurant on Loy Kroh Road.